Cook Pasta as per the package instruction and keep aside. Heat oil in a pan, when it gets heated add turmeric powder and chilli powder let it sizzle then add onions and saute for 1-2 minutes. After that add broccoli florets and saute for 2-3 minutes. And then add soy sauce and stir fry another one minute and add cooked pasta and stir fry for 1-2 minutes or until pasta get coated with all spices and onions. Once done..switch off the stove and garnish pasta with finely chopped cilantro. 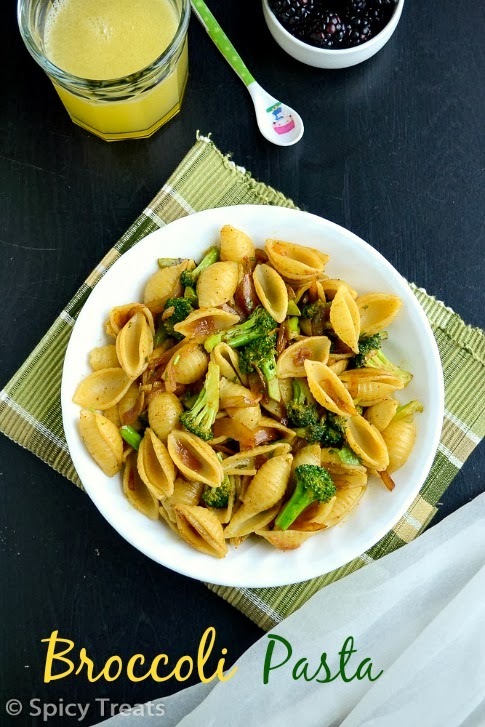 That's it...Simple & tasty Broccoli Pasta ready. Serve hot. Here i used shell pasta you can use any desired pasta/macaroni. Instead of broccoli you can also use sliced carrots/capsicum or any desired veggies. If you like you can also add 2-3 tbsp tomato sauce after sauteing onions. 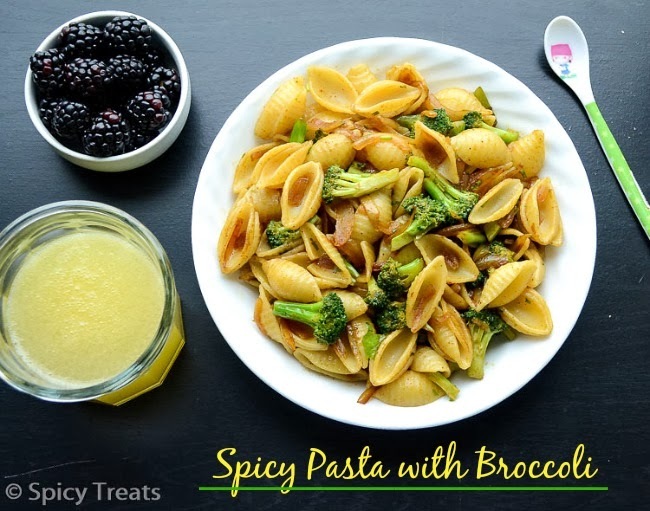 Thats a lip smacking brocoli pasta sangee .Love to try it .. Perfect vegan recipe aks and love the stir fry method. 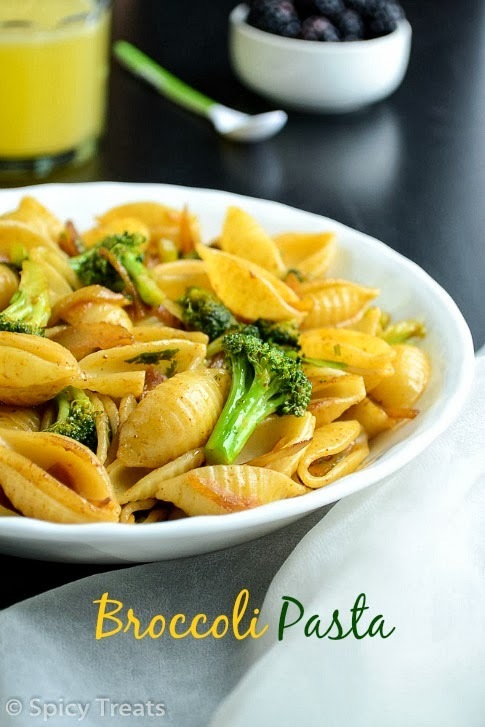 such a comforting pasta! As always love your clicks! lovely pasta. easy to make too. can I use cauliflower instead of broccoli? Its not available where I reside. Yeah you can use cauliflower or any desired vegetables. 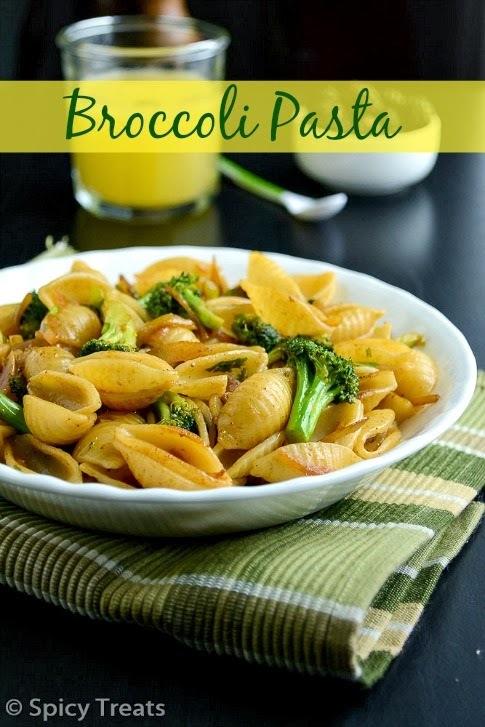 Simple and delicious looking pasta,easy to make one,perfect for dinner.. Happy New Yr to dear Sangee....Simple n tasty Pasta,looks inviting!! 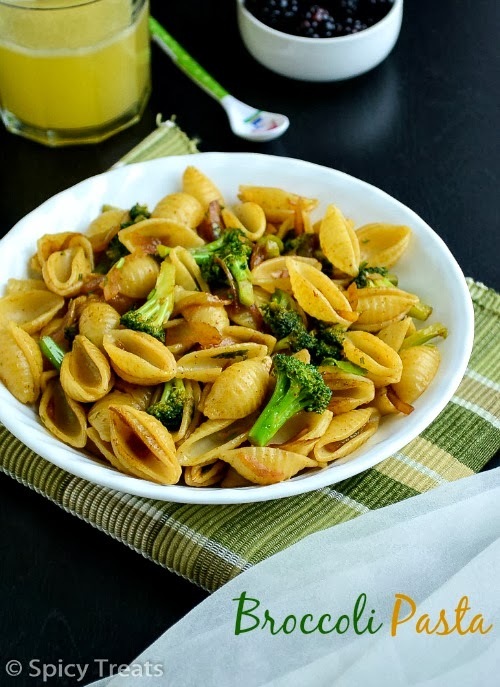 V r not a big fans of pasta.but this looks easy n saves tone in dinner time,..